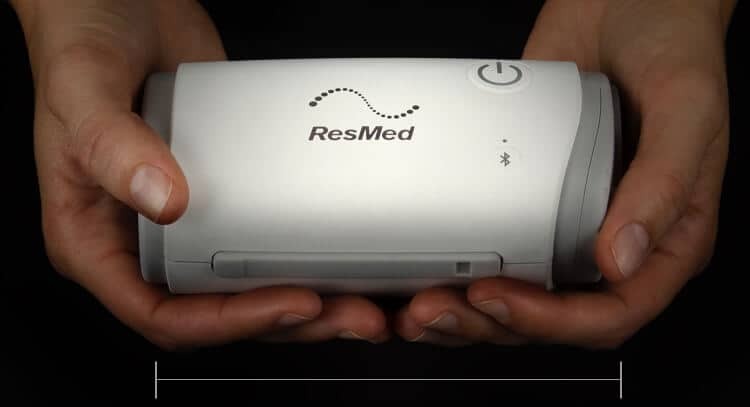 ResMed AirMini – the lightweight, go anywhere CPAP device. 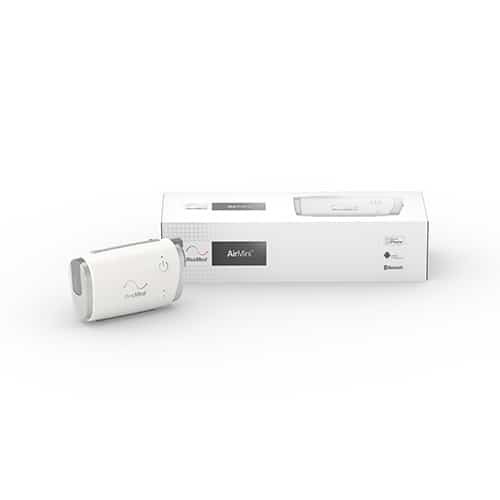 At home or while you travel, your AirMini delivers superb performance wherever you are. 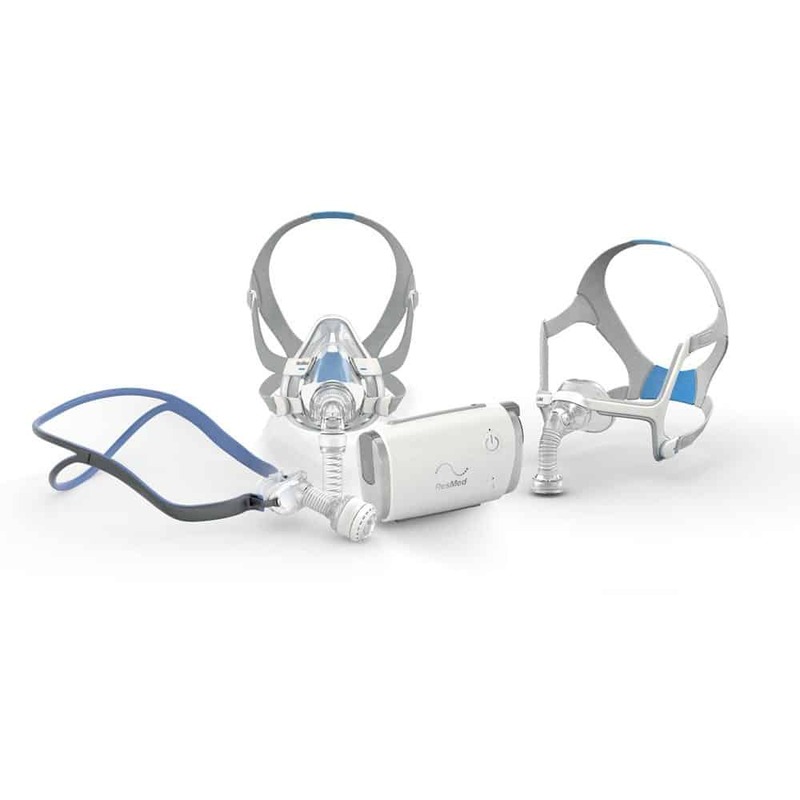 You know already the benefits your CPAP device can provide. Now we have something very convenient to offer. 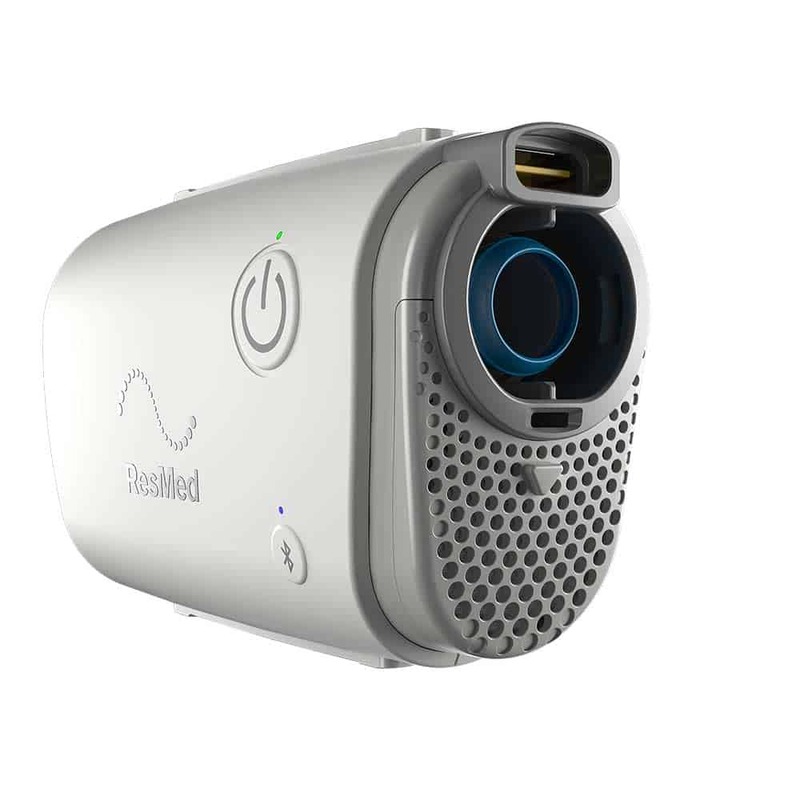 The ResMed AirMini is the smallest CPAP device in the world, yet it offers the performance of full-size models. 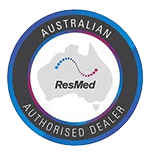 The ResMed AirMini is suitable for regular daily use, just like the larger devices. 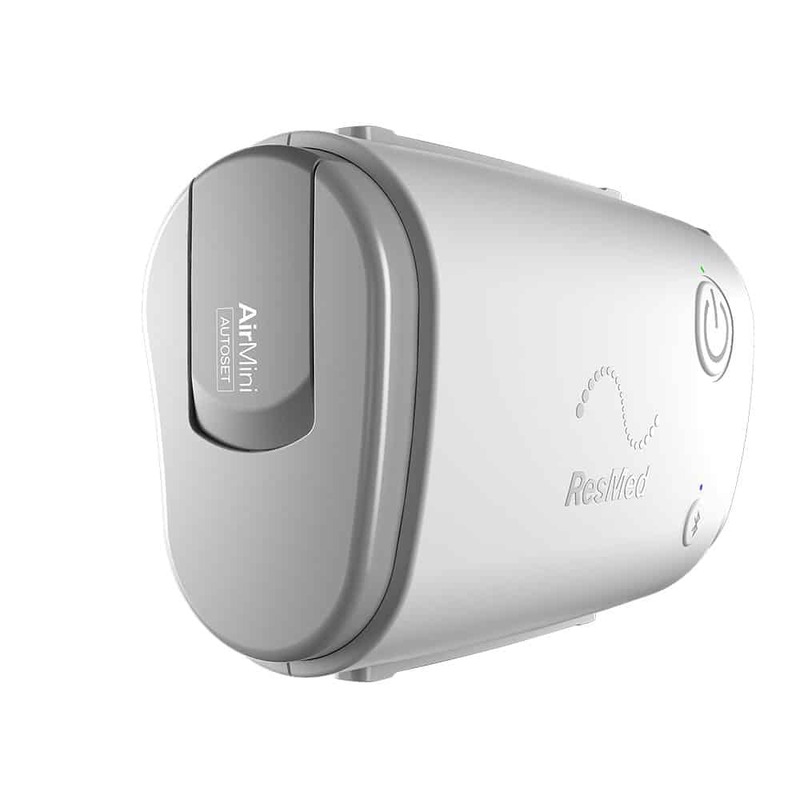 The obvious benefit of the ResMed AirMini is its compact size. It takes up very little space beside your bed and it’s small enough to take with you when you travel. What else does it offer? Did you know that it uses waterless humidification? No more inconvenient filling of the water chamber. Did you know it can be powered by battery? No more searching for suitable power outlets to run your device. AirMini can run on battery power or through a 12 V connection. Excellent performance and portability… What more could you want? 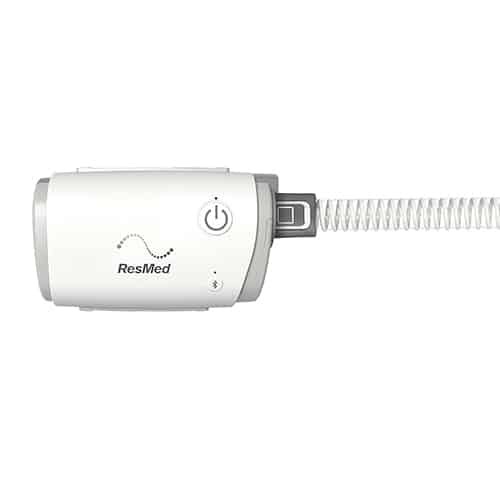 Can I use my ResMed AirMini as a full-time device? Yes, you can. 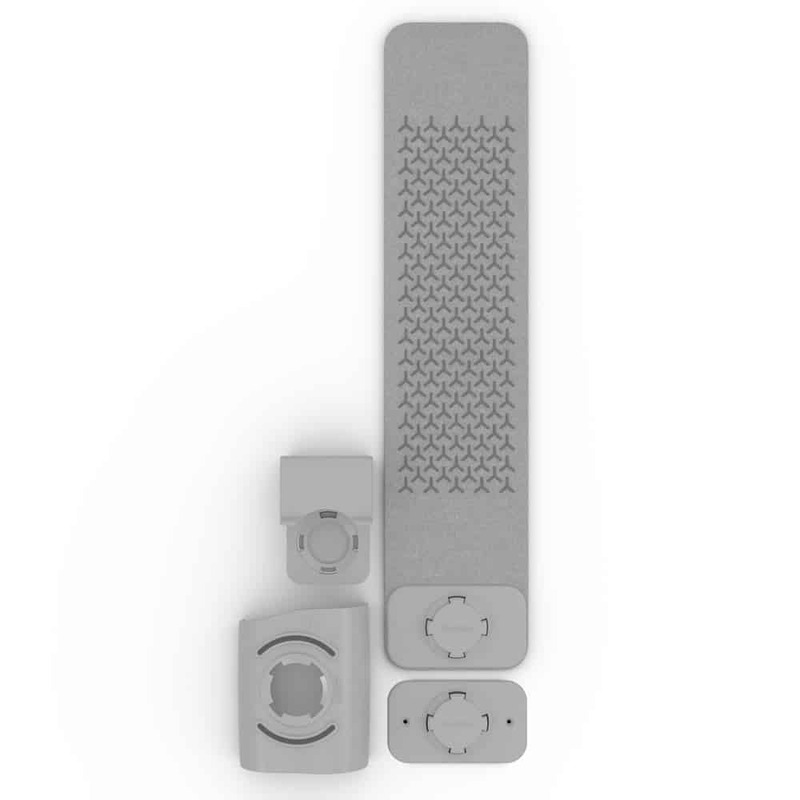 This device offers the same performance as the regular models but in a compact size for those who need portability and space saving. 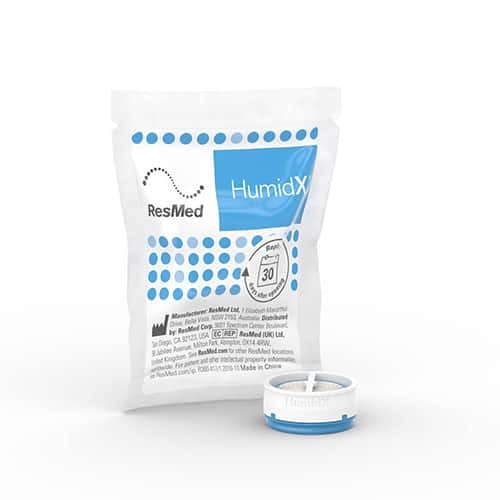 Can I take my ResMed AirMini on a plane? Yes! It’s small enough to take with you as hand luggage. Can I secure my ResMed AirMini beside my bed in my caravan? Yes, you can. 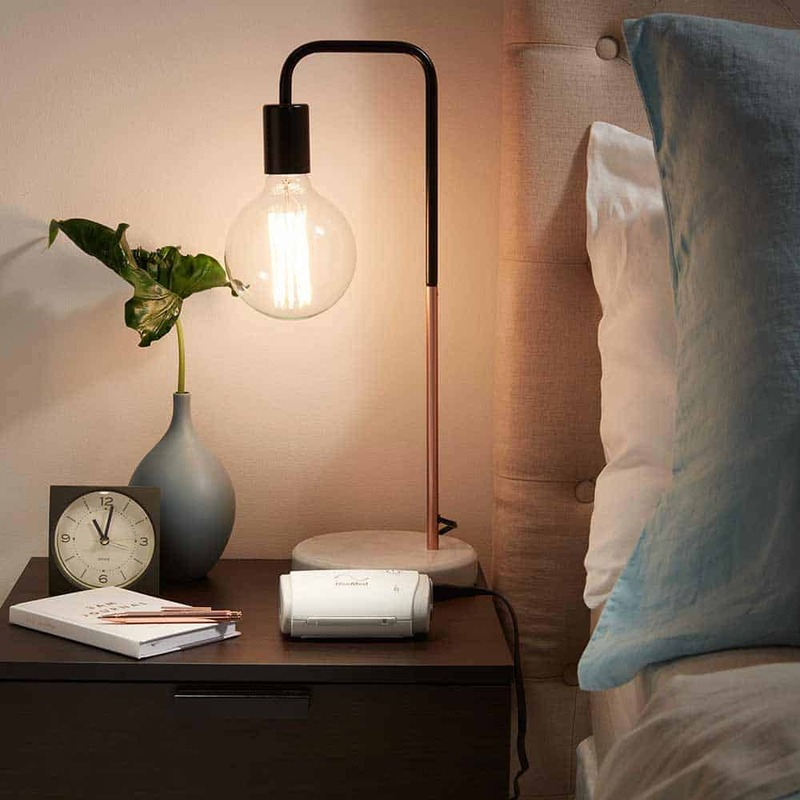 The AirMini includes a handy bedside caddy mounting system, so you can attach it wherever it’s convenient for you to reach and it will stay securely by your bedside.